Raja Ampat is one of the most magical scuba diving destinations you can imagine! 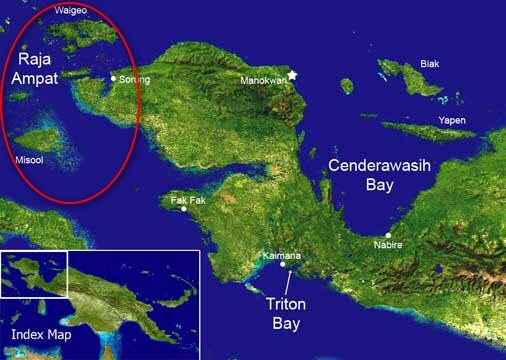 This archipelago is located in West Papua in Indonesia. Most of the Islands are still unexplored and only few Liveaboards and dive resorts offer diving in Raja Ampat. This area was even voted the richest reef in the World in 2007 by National Geographic. The biodiversity here is just outstanding. Many new species have been discovered in recent years in the area and passionate underwater photographers come from all over the world to discover this gem. Raja Ampat Islands are truly spectacular, covered by lush jungle and surrounded by pristine reefs with a teeming marine life. 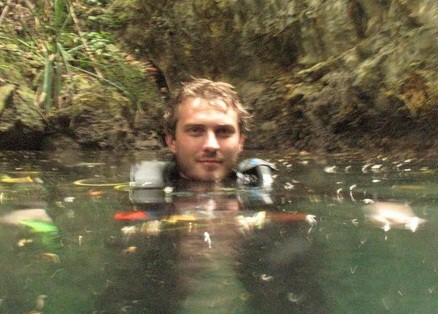 Diving in this area is great for macro photography and critters as well as big fishes and Manta rays! The coral is magnificent and still untouched. In Raja Ampat, the beauty is everywhere, above and below the surface. I usually use this website to book in advance my hotels in Raja Ampat as they usually have the lowest rates I find. I like it because it's free to cancel and change the dates. Raja Ampat is 100% about scuba diving and snorkelling. For the non divers, there is not much to do. You can go trekking in the lush tropical forest to have a glimpse of the fantastic fauna of the local forest. If you are lucky you can even spot the superb Bird of Paradise! Sea Kayaking around the Islands is also a great experience! The climate is tropical with hot and humid air. The weather is sunny all year with some rainy days. From May to September, there is more rain than the other months but nothing too bad. If you are planning an upcoming dive trip or travelling to Raja Ampat, it is a really good idea to invest in travel insurance for scuba diving, because you never know what could happen and when you might need it (because accidents do happen!). I recommend this diving insurance as they offer worldwide coverage and focus on providing scuba divers a quality insurance and medical assistance service. Where is Raja Ampat located in the world? Raja Ampat is located in Papua Archipelago in Indonesia. See the map below. Step 1: Fly firstly to Jakarta, Bali, Kuala Lumpur or Singapore. Step 2: Once you are in one of these cities, get a flight to Sorong in West Papua, Indonesia. Most of the flights have a stopover in Makassar (Ujung Pandang airport) in Sulawesi. There are also flights from Manado to Sorong. If you are in Indonesia, the companies you can take are Garuda Indonesia (the National Company), Batavia Air, Merpati, Express Air, and Lion Air. If you are in Singapore, you can take Silk Air to reach Manado in Sulawesi first then another flight to Sorong with Merpati or Lion Air. Step 3: Local staff from your liveaboard or from your dive resort should wait for you at Sorong Airport. You will then embark the liveaboard or take a fast boat to reach your diving resort. Note: You need a permit to enter West Papua. The formalities will be completed by your dive operator but don’t forget to bring your passport, 3 photocopies of your Indonesian Visa and an ID picture. There are no roads, no transportation infrastructure in Raja Ampat. The only way to get around is by boat. 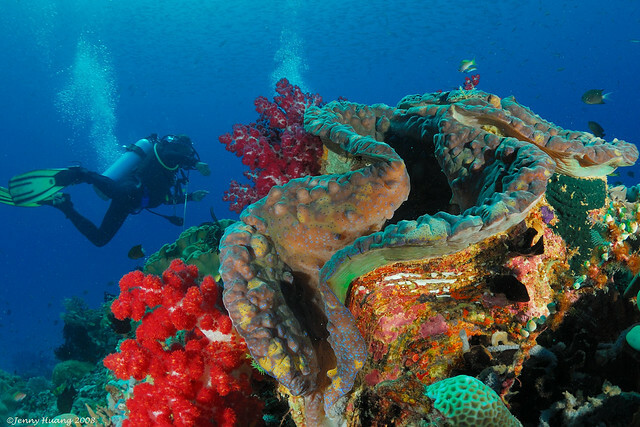 Richest Reef in the World, Amazing Biodiversity, Wonderful Coral, perfect place for underwater photography. No Travel Feedback yet on this page, your thoughts are welcome! Have you been travelling or backpacking in Raja Ampat? Please consider sharing your experience by leaving a comment below! Divezone has complete information about scuba diving and snorkelling in Raja Ampat. For information about the best time to dive, list of fishes spotted in these waters, please check our Raja Ampat Diving Review.